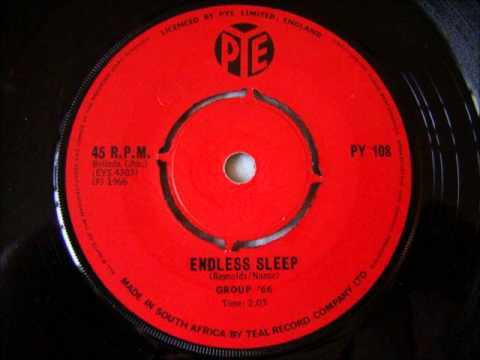 Clocking in at around 1 minute 40 seconds, this little slice of bouncy beat pop, popped into the Springbok Radio charts on 24 June 1966 and spent 8 joyful weeks bopping with the 20 most popular songs of the time, reaching number 8 in the time it spent in the charts. Group 66 featured Brian Mulder on guitar and he brings a lot of the bounce to the song along with Peter Foyn who tackles the vocals. Brian Mulder would go on to have loads of success with The Peanut Butter Conspiracy. ‘Endless Sleep’ was a cover of a number 5 hit in the US by Jody Reynolds, but the contrast between the 2 versions is quite stark. Where Group 66 take a song about a serious matter (‘I Lost my baby to the endless sleep’) and put it to a joyful upbeat tune (a bit like The Smiths did with ‘Girlfriend In A Coma’), Reynolds seems to be a bit more cut up about the loss of his baby as his is a much slower and angst filled version. A lot depends on how one feels about the loss of one’s ‘baby’ as to which version would suit you, If you’re pretty cut up about it, then Jody Reynolds’ one would better suit your mood, but if you’re glad she’s gone to that ‘Endless Sleep’ then apart from being a pretty callous person, you should stick on the Group 66 version. Alternatively, you could just ignore the lyrics and bop round your bedroom to this bright piece of 60s beatpop.